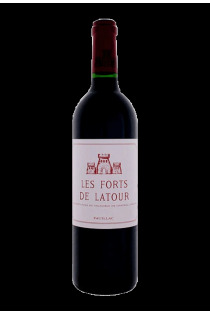 Château Latour dominates the Gironde estuary fifteen meters, soils are bank gravel gunzienne origin (early Quaternary). They are characterized by an abundance of pebbles (at least 40 to 50%) by their poverty and permeability factors for high quality wines. However, the basement has clayey areas where natural drainage is insufficient and that is why it was put in place a network of drains pottery, completely set in the nineteenth century and is now the subject of care vigilant to keep it in perfect working condition. The 65 ha vineyard is located in the Médoc on the commune of Pauillac. It was already classified as "premier grand cru" according to the official classification of Bordeaux wines of 1855. The planting has a very strong dominance of Cabernet Sauvignon (90%), plus 10% Merlot and, depending on the vintage, traces of Cabernet Franc and Petit Verdot. The harvest is manual and winemaking, fragmented and extraction takes place in stainless steel tanks before aging in barrels 100% new oak. 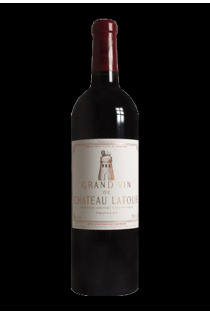 Château Latour is most wanted wine of the world , vintage after vintage it still reached perfection.